Now that you know how to use the verb to be you need to learn how to use the present simple with non-action verbs. Keep reading to learn how use this verb form. Be careful not to confuse this verb tense with the present continuous. 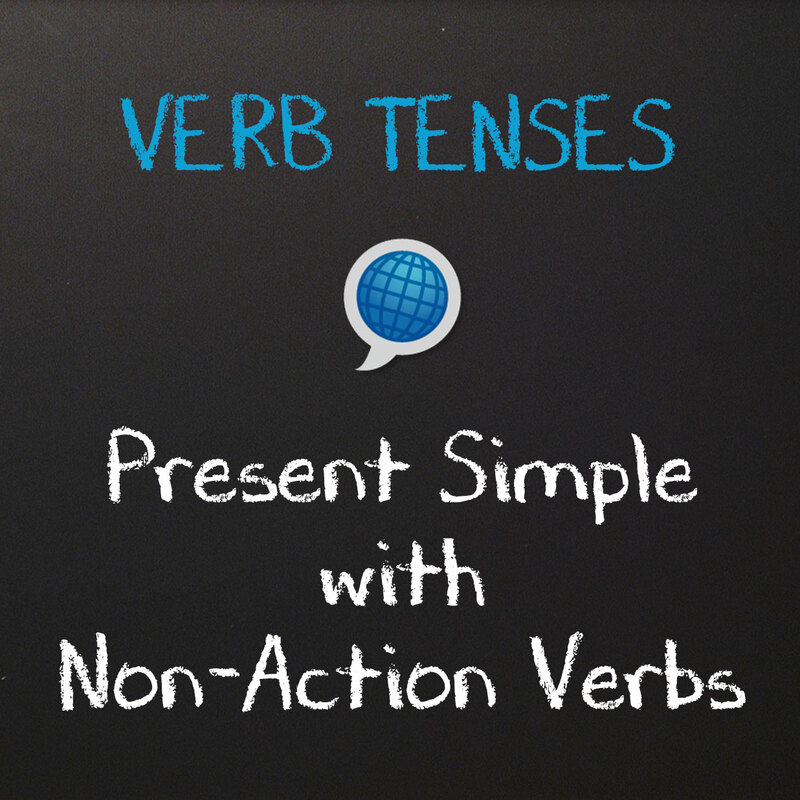 Non-action verbs are verbs that cannot be used in the continuous, also called progressive, tense. Keep reading to learn the different uses for non-action verbs. 1. Some verbs only describe a condition, state or belief. These verbs are not used in the continuous form. I like English. not I am liking English. She loves me. not She is loving me. I know him. not I am knowing him. 2. Some verbs have both action and non-action meanings. Be careful not to confuse the two forms below. When we use these words to describe an action we are using the present continuous, which describes an action taking place at that moment. That’s all for today! If you have more questions, just email me or comment below. I will be happy to help you learn English and can even prepare a lesson just for you. Stay posted for our next lesson and don’t forget to turn your Language On! You can download this lesson for free by clicking here.